When I look at my little brother and notice how the sun radiates in his hair, how his eyes are always sparkling with happiness, how he will always tell you he loves you, just to see you light up from knowing that, it makes it hard for me to believe that other people could see him so differently. People walking by would look at Zachary and notice the small scar above his lip. The way his ears stick out slightly. How he walks and how he has to cling to me when he goes up or down stairs. The way he will talk quietly to himself or even sing because he simply doesn’t care what anyone thinks. These things that hardly matter, define him to the rest of the world, and that isn't right. 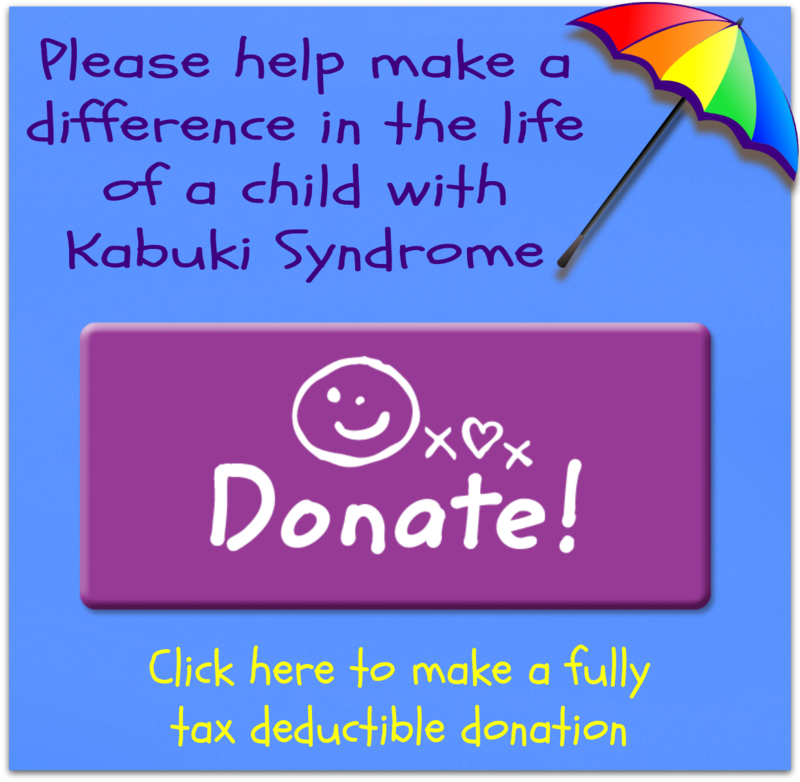 My little brother Zachary has a rare genetic disorder called Kabuki Syndrome. It is recognizable by the unusual facial features which include wide eyes with arched interrupted eyebrows and large and low set ears. Some children have an intellectual disability which may vary from mild to sever. Many abnormalities are sometimes seen, which include cleft lip and palate, cardiac abnormalities, urogenital and kidney problems, intestinal problems, immune abnormalities, ear infections and hearing loss. I am reminded every day of my life how much society doesn’t understand people who are different. Not only is there racial discrimination and such in the world, but everybody here is guilty of another kind of intolerance. I have a feeling you know what I’m talking about. Intolerance of people who are different. I look around me and I’m sadder still. I know it is a time for a change, but do you? Even after this presentation I guarantee that some of you will leave and use the word ‘retard’. You will still stare and regard people who are intellectually or physically challenged as you always have. For three years I have delivered speeches in English hoping that I might make a small difference, maybe even to one person, and I have always been disappointed. As I listen to your conversations, even the conversations people have with me, you still refer to each other as ‘retarded’. You make actions to mime people who are intellectually challenged. No matter how much offense you are meaning for the person you are talking to, it always offends me more. How can the person I love so much, who loves the world and everyone in it so completely, be so misunderstood? Especially by people who I think know better. As I was writing this presentation I walked out of my room and looked at my brother sitting at the table slowly reading one of his school books. I noticed the way a smile was pulling at the corners of his mouth as he enjoyed the simplicity of reading by himself. I looked at his little hands gripping the pages of the books tightly; concentrating with all his might to do well. I saw his legs swinging off the edge of the chair slowly and methodically. I thought to myself, how can this small person, worth the world to me and my family, be seen by everyone else as strange, or different, or ‘retarded’? By Holly (15 years old) big sister to Zachary.